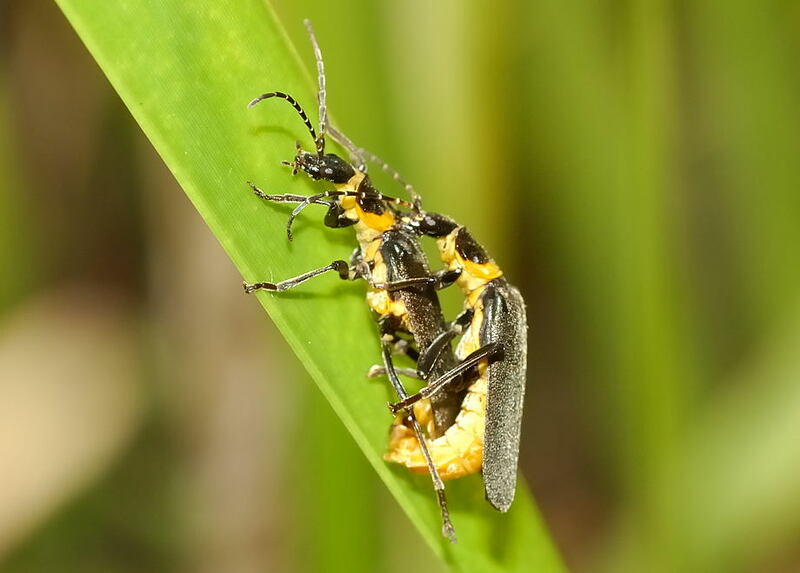 This page contains information and pictures about Plague Soldier Beetles that we found in the Brisbane area, Queensland, Australia. 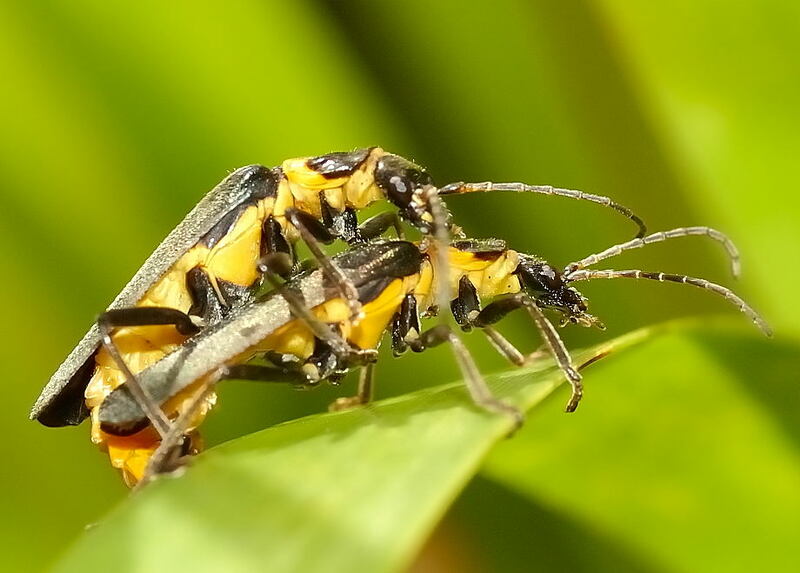 The beetles also known as Green Soldier Beetles. 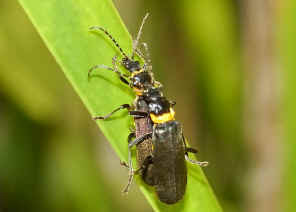 The beetles are yellow in abdomen colour, covered with black wing-covers and large black head. 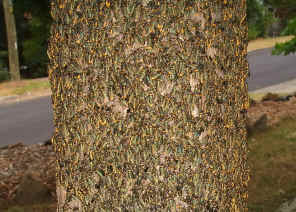 They can be found feeding on flowers or aggregation on plants. 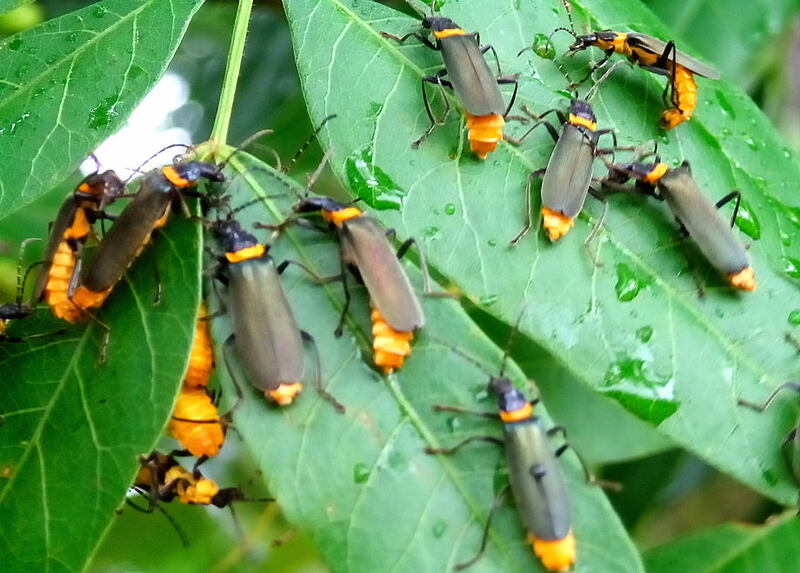 Sometimes we found the swarms of Plague Soldier Beetles. The aggregations are believed for the purpose of breeding. Most of them in the aggregation are mating. Pictures were take near Bulimba Creek in Mt Gravatt May 2007. 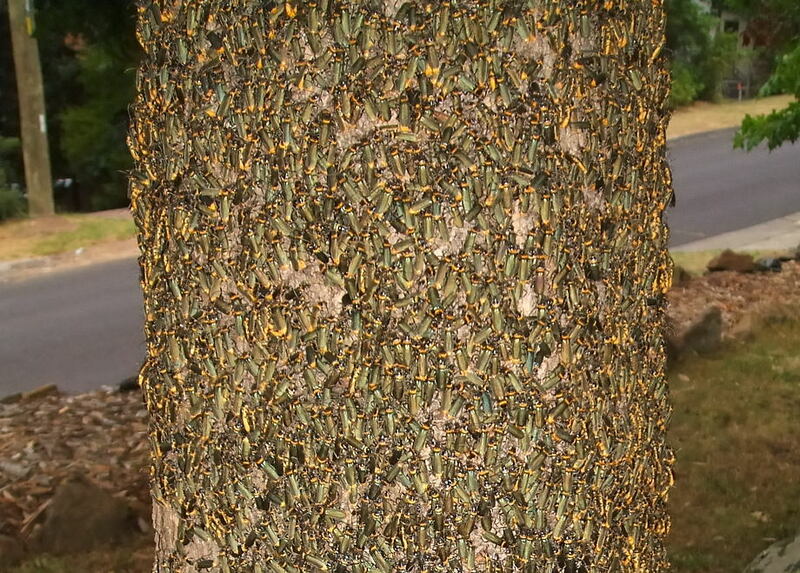 On Feb 2009, Tara sent us the about photos and commented "In the Blue Mountains NSW, after the crazy heat last week we seem to have some kind of bugs. 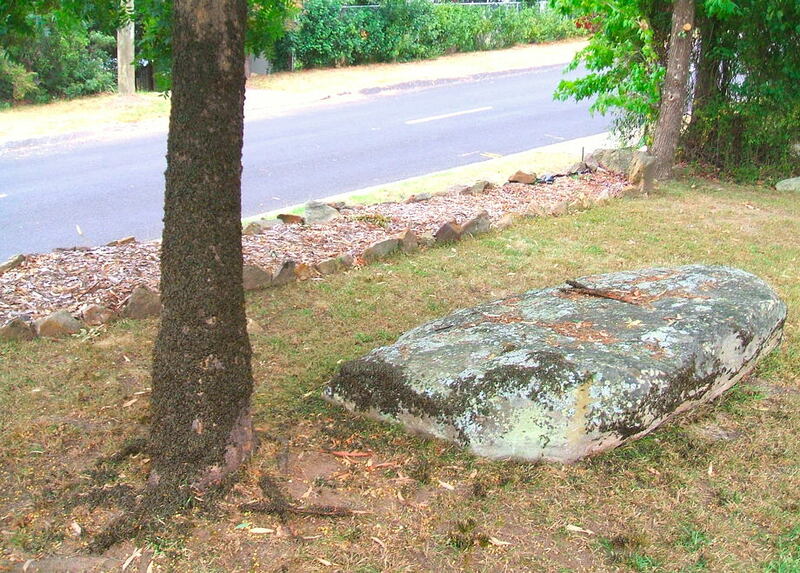 All the trees in my area Winmalee are like this. They have taken over the local school and the kids cannot use the library as they have covered the walls!!" 1. 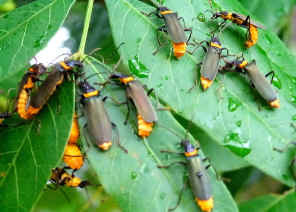 Beetles - family Cantharidae - lifeunseen.com, by Nick Monaghan, 2008. 2. 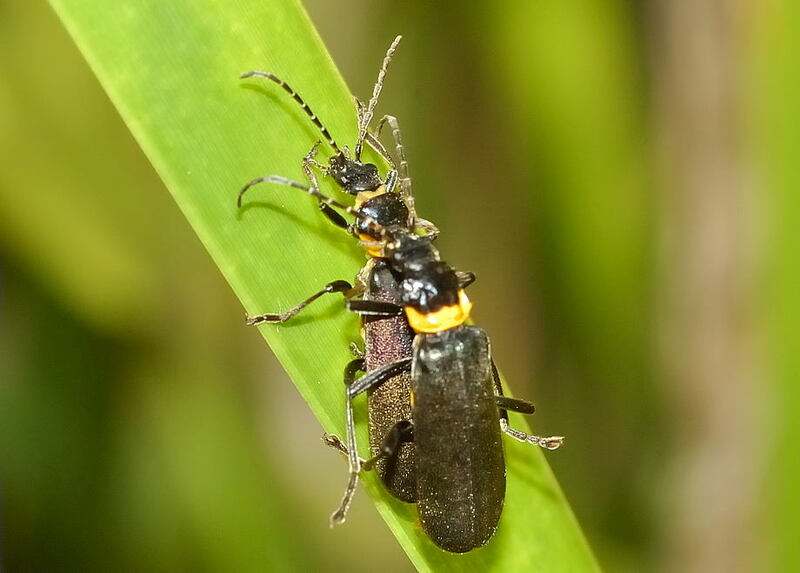 Chauliognathus lugubris (Fabricius) - Australian Insect Common Names, AICN version 1.53, CSIRO 2005. 3. Chauliognathus lugubris - Morwell National Park Online, 2005. 4. Insects of Australia, CSIRO, Division of Entomology, Melbourne University Press, 2nd Edition 1991, Fig35.38B. 5. Chauliognathus lugubris (Fabricius, 1801) - Australian Biological Resources Study, Department of the Environment, Water, Heritage and the Arts. 6. Chauliognathus lugubris - Botanic Gardens Trust, 2008. 7. 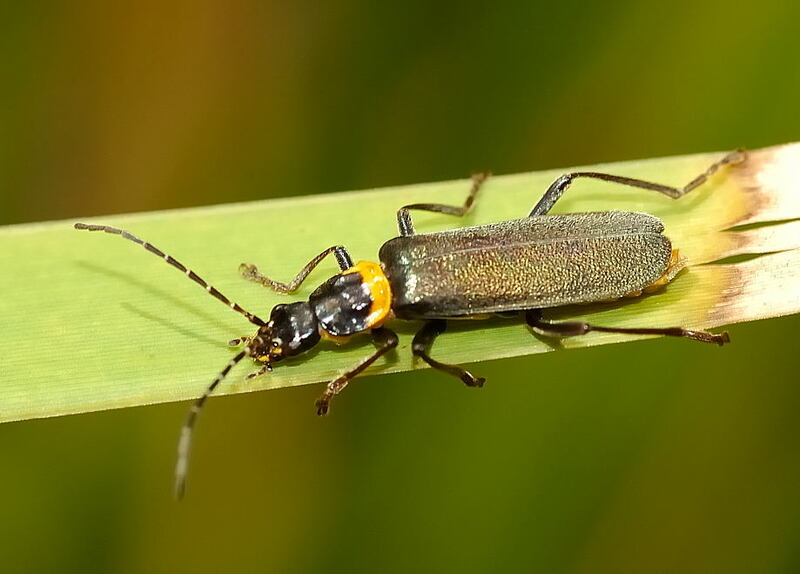 Green soldier beetle Chauliognathus pulchellus - Cotton Catchment Communities CRC Company. 8. A Guide to the Beetles of Australia - George Hangay and Paul Zborowski, CSIRO PUBLISHING April 2010, p130.